White Shark Projects is an environmentally conscious company and are committed to reducing the impact we have on the planet. One of White Shark Projects main aims is to reduce our environmental footprint and as a result we are the first plastic free cage diving operator in the area. We also strive to create ocean awareness about the negative effects single use plastics have on our vulnerable marine ecosystems. We believe that education is vital for helping to make the oceans that we so heavily rely on healthier. ‘Plastic Ocean’, an art installation on display at the Sassoon Docks Art Project, Mumbai, an initiative by St+Art India. 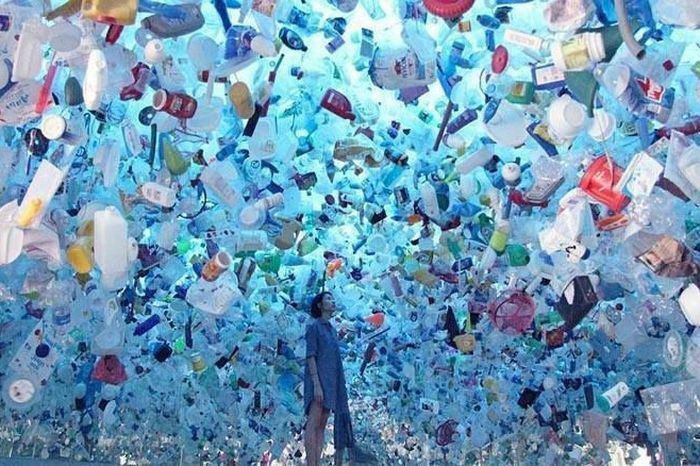 Created by Tan Zi Xi from Singapore, this art project titled ‘Plastic Ocean’ aims to show people the viewpoint of a fish. So Nunez started The Last Plastic Straw originally as a Facebook page then it grew to be part of the worldwide Plastic Pollution Coalition – a global alliance of individuals, businesses and policy makers working towards a world free of plastic pollution. The Last Plastic Straw’s mission is to educate the public about the absurdity of single use plastic, its effects on our health, our environment, and our oceans. They aim to eliminate from the source, single use plastic pollution. Nunez works relentlessly to educate people on the unnecessary use of plastic straws and the negative impact they have on the environment. 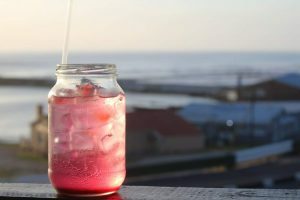 Nunez has become the spokeswoman for the movement on plastic straws, giving talks to organisations, councils, schools and even featured in the 2017 eco-documentary “Straws”. So what’s the problem with a tiny little plastic straw? Well, plastic straws are one of the top polluters WORLDWIDE, with the U.S. alone using an estimated 500 million straws a day – staggeringly, that’s enough straw waste to wrap the circumference of the earth 2.5 times! Also, in the UK it is estimated that a whopping 8.5 billion straws are thrown away each year. According to the Marine Conservation Society, plastic straws are one of the top 10 items found in beach clean-ups around the UK. The main culprits of single use plastic straws are take away drink shops, restaurants and bars. Straws then end up on our beaches and in our oceans through human error. Straws are left on beaches and seaside resorts globally, littered, blown out of bins and landfills. Many people think that straws are recyclable…. They are not. Technically the material straws are made out of is recyclable. However, they are small, thin, bendy and end up falling through the recycling machines – again ending up in our landfills and the environment. The problem with plastic is it does not biodegrade but photodegrades. This means that the plastic is broken down into smaller and smaller pieces, which makes it easily eaten by both marine and land animals, making plastic pollution even more dangerous. Thousands of marine animals choke and die from ingesting this plastic, and many more are slowly poisoned by the dioxin and other pollutants introduced by the mass of plastic in our oceans. Dioxin is an endocrine disrupter which causes gender mutations in marine animals and is biomagnified through the food chain – which means the toxin gets more concentrated the higher the animal is in the food chain. This means that plastic is actually affecting us all as humans are also consumers of seafood. For more information on plastic pollution read our previous blog on single use plastic bags. Do we actually need straws? If you think about it, straws are incredibly unnecessary. 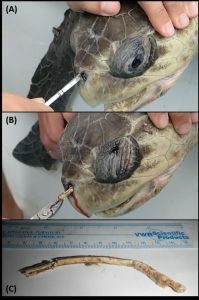 You use a straw for 5 minutes, however, it can stay in the environment for 500 years. How about using an environmentally friendly alternative to help prevent further damage to our beautiful oceans? Ice straws – perfect for those mojitos! OR simply just say no to straws! 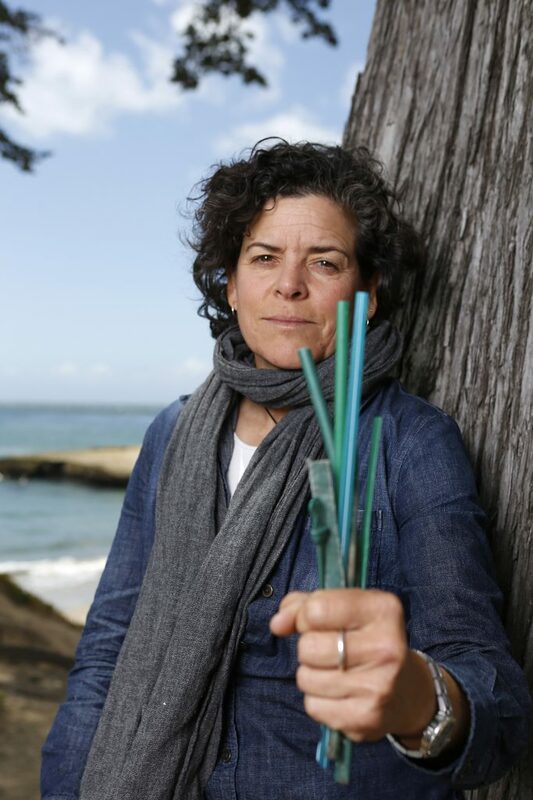 Jackie Nunez is creating an environmental movement and making people realise the catastrophic effect the use of plastic straws have on the environment. According to a web post in 2017, more than 1,800 restaurants, organisations, institutions, and schools worldwide had already stopped using plastic straws or implemented a serve-straws-upon-request policy because of the efforts of The Last Plastic Straw project. Some of the local businesses that attended our presentation on straws and eco-friendly alternatives. 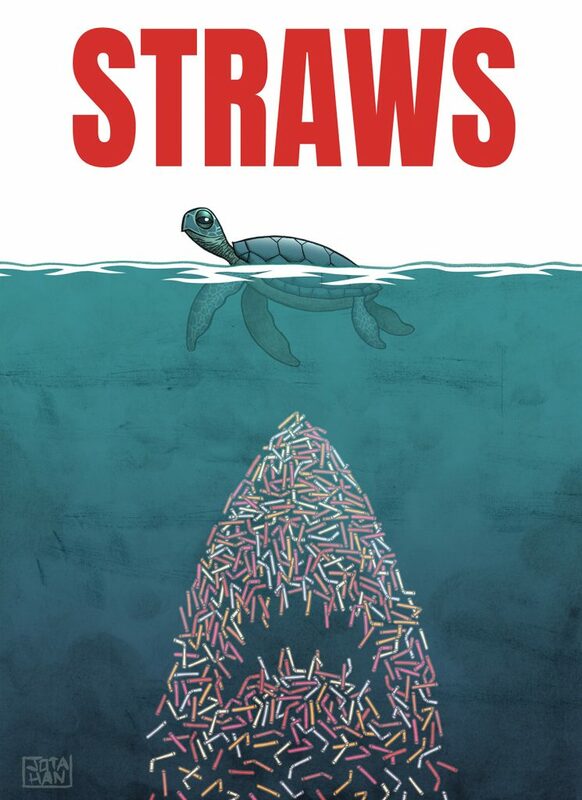 Here at White Shark Projects we have taken inspiration from Nunez and have also been spreading the word on the absurdity of using plastic straws. 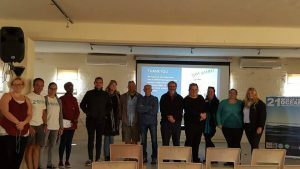 Recently, we gathered some of the local businesses in Gansbaai and presented the negative impacts single use plastic straws have on the environment and what environmentally friendly alternatives they can use. 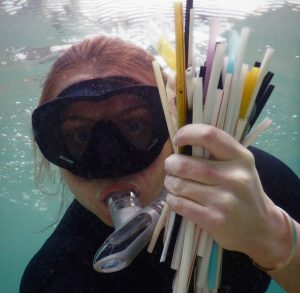 White Shark Projects praise these businesses for helping the fight against single use plastic straws. We will keep spreading the word and hope that more businesses and individuals banish plastic straws forever. Here are at White Shark Projects we believe that education in vital for conserving our precious oceans. We will continue to show people the small changes they can make to both their organisations and as an individual that will reduce their environmental impact and help prevent further damage to our planet.